You may’ve caught it on our blog – or not – but there’s no way you could’ve missed this 9.9 mm slim 4.3-incher. 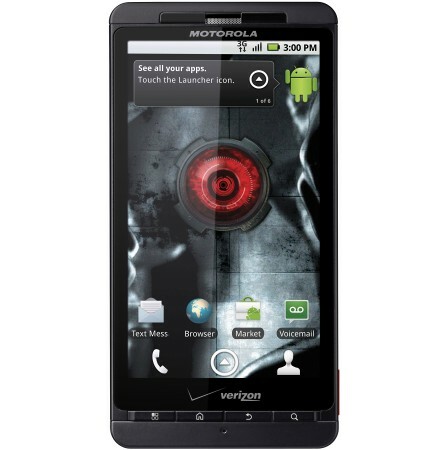 Motorola’s DROID X looks a deadly beast – and, sadly, nothing short of a mutant droid on our side of the pond. CDMA-only for now, the DROID X launches on Verizon in mid-July. The Motorola DROID X is powered by a 1 GHz processor and runs Android 2.1, skinned with a new edition of Motorola’s MotoBLUR UI. The phone has a massive high-res screen at 4.3″ and 854 x 480 pixels. The top-of-the-line imaging package includes an 8 megapixel still camera with dual LED flash and a 720p camcorder. The DROID X is 3G, Wi-Fi and GPS enabled, complete with DLNA and HDMI connectivity for streaming and sharing of HD content. The smartphone will hit the stores on July 15th at 200 USD on a two-year contract, both talk and data subscriptions required. And while we drool over the thought of a European version, users of Android phones by Motorola in the Verizon network have one more reason to cheer. Motorola DROID X is bound to get a Froyo update, much like most other Moto droids.